Mac OS X Lion Theme For Windows 7, it is not Wallpaper only themepack version, it is moded and looks like Mac OS X, this version is in the memory of Steve Jobs. As the title says, it is Steve Jobs RIP (Rest In Peace) version. You will get the regular version in this post. Mac OS X Lion Theme Steve Jobs RIP version was developed by ‘http://hameddanger.deviantart.com/`. The Profile has been deactivated, hence we have removed the link. Mac OS X Lion Theme Steve Jobs RIP version transforms Windows 7 To Mac OSX Lion and comes as installer version (exe). Skin Packs installer have easy and safe install option, Please unistall old or other version of skin packs before install new version. Before install disable user account controller and close all running program, restart your system after it is installed. It is a ZIP download, the file is 51.5 MB in size. We can not give any warranty about the Mac OS X Lion Theme For Windows download. As we do not keep any material hosted on deviantArt on our server, we provide link. However, hameddanger’s profile has been removed by deviantArt and hence no official download is available. The link to Download Mac OS X Lion Theme Steve Jobs RIP version is uploaded by a third party on 4Shared. This Article Has Been Shared 7423 Times! 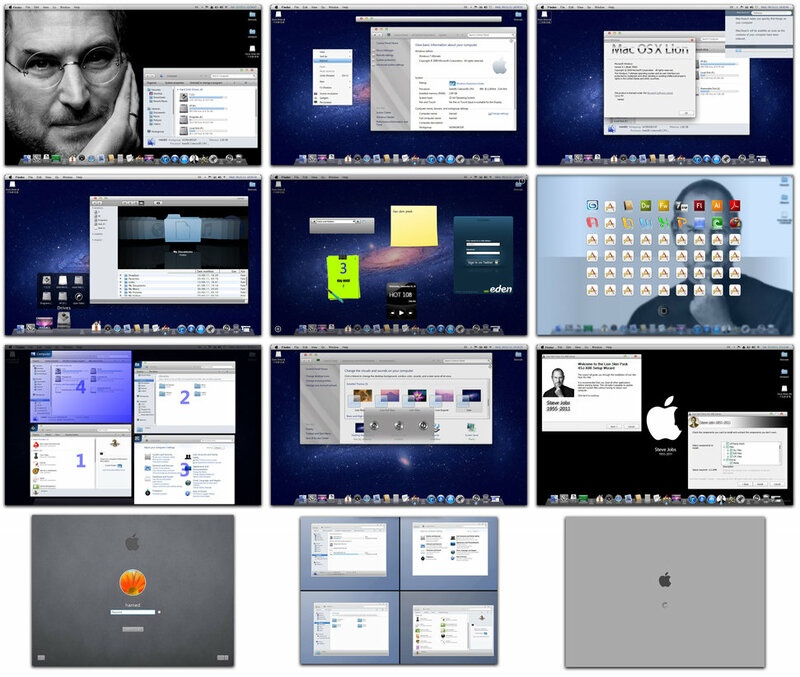 Cite this article as: Abhishek Ghosh, "Mac OS X Lion Theme For Windows 7 – Steve Jobs RIP Version," in The Customize Windows, October 20, 2011, April 21, 2019, https://thecustomizewindows.com/2011/10/mac-os-x-lion-theme-for-windows-7-steve-jobs-rip-version/.